One of the most common pieces of advice offered by those in leadership positions is to take risks. Get out of your comfort zone. It’s solid guidance, and for the most part, isn’t difficult to follow — unless, of course, you’ve been on the losing end of a big gamble. In 2015, Aaron Miri accepted a leadership role with an organization that aimed to make patient care a luxury experience. But after just a few years, Walnut Hill Medical Center closed its doors due to financial troubles. For most, the experience would be enough to scare them away from risky moves. Fortunately, Aaron Miri isn’t most people. 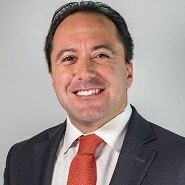 Last summer, he assumed the CIO role at Dell Medical School at UT Health Austin, a cutting-edge organization that places a high value on value-based care, innovation, and using social determinants to improve care. For Miri, the opportunity to return to his home state of Texas and work alongside some of the brightest people in the industry was too good to pass up. In this interview, he talks about why he was willing to take another leap of faith, why he’s a strong believer in ‘open-door leadership,’ and the importance of building a solid professional network. We have people here who truly understand healthcare and are helping to blaze a trail with things like social determinants of health, value-based care — all these dynamics. We feel like the world is our oyster at this point. There’s so much opportunity for trailblazing with this segment of a larger population. We’re all connected and we’re all intertwined — so how do we use technology in a way that enables that? I lean on my network of other academic CIOs all the time to say, ‘I’m hearing this. What are you hearing at your shop? What’s going on there? What challenges do you have?’ It’s amazing how much symmetry there is between facilities. Gamble: So you’ve been in this role for about six months or so? Miri: That’s correct, about a half-year. Gamble: What has the adjustment been like? How have you worked to get to know the people and get to know the organization? Miri: A couple of things. Dell Medical School opened officially in 2016. It was a startup — it was hiring people and getting programs launched. So they started the school, then a year later, the practices opened up and grew like gangbusters. Then the research teams came together; they started to research some fantastic projects and major grants were awarded. We have these different missions — people traditionally call them divisions, but we call them ‘missions.’ These missions were growing, and they needed a CIO to tether it all together so we can begin to operationalize, make things efficient, and grow pragmatically. We have an external board with some of the most well-known names in the world, including Michael Dell, which provides us with great guidance and expectation. These people are world-renowned — they expect the best, which matches what we want. And so how can we look at things at a macro level to drive forward innovation and teach? I’m so amazed and impressed with the caliber of individuals that have come to UT. Really, I should’ve expected it being here, but I’m surrounded every day with folks that are just wonderful, or as they say in Boston, ‘wicked smart,’ and I’m blown away by what an opportunity it is. Gamble: I’m sure having those types of people on board has helped everyone to up their game. Miri: That’s correct. We have people coming here from all different parts of the country, like Dr. Karen DeSalvo, the former ONC Coordinator, who is part of our faculty. I can imagine she had her pick of the litter, and she chose University of Texas because of the opportunity it presents. We have people here who truly understand healthcare and are helping to blaze a trail with things like social determinants of health, value-based care — all these dynamics. We feel like the world is our oyster at this point. Gamble: Right, especially someone like Karen DeSalvo. She’s spoken quite a bit about public health; to have someone with so much experience in that area has to be a big plus. Miri: It is, and I give a lot of credit to our dean, Dr. Clay Johnston. He came here from UCSF — and I say this teasingly — when this was just a dream. It was a hole in the ground. It wasn’t built, and he’s put together this dream team of people who have gone about and executed wonderfully. And when you have good leadership and good vision, then comes the talent. Now the talent is showing up, and to a high degree. As we grow and continue to expand, my greatest challenge is, where are we going to have enough physical space to put people? Because we’re growing so fast that at some point, you run out of physical real estate. So that’s our next hurdle—to make sure we keep up with the construction and have those discussions appropriately so we don’t have more demand than supply. Gamble: It’s a good problem to have though. Miri: It’s a great problem to have. I rather this than the inverse. Gamble: Sure. Now, in terms of your strategic objectives, is it more of a working document? Miri: No. There are hard objectives with efficiency and operational lines to make sure we’re growing pragmatically in our strategic vision of where we want to go. There hasn’t been an IT roadmap in the past because the organization is new, so we’re putting that together for the first time, and tethering the teams together. As I said, it was very much startup mode. How do you bring everybody together and get a consensus on what technology stacks we’re going to use? What type of development tools are we going to use? Are we going to embrace micro services? Are we going to leverage things like Kubernetes? Are we going to embrace things like augmented reality for simulation labs? How do you partner with the other schools on campus to draw a roadmap that brings them into it and feels inclusive for them? How do you partner with the UT academic side? There are students here from the student health services side who get referred into our clinics for psychiatric care — how do you deal with all of that? One of the challenges — and I think Dr. Vivek Murthy did a great job of articulating this at the CHIME-HIMSS CIO Forum — is loneliness and all the social and mental health needs we’re seeing at an exponential rate when it comes to the student population. The amount of loneliness that college students feel, which can lead to other downstream issues, is immense. And so, how do we get them social services? How do we interface with them before it becomes detrimental to their health, in a way that makes sense? How do I partner as CIO with the academic UT student CIO to make sure we’re extending our care beyond just patients and med students to all undergrad students across UT? There’s so much opportunity for trailblazing as we look at this segment of a larger population. We’re all connected and we’re all intertwined — so how do we use technology in a way that enables that? The good news here is, I’m not indebted to technology that we’ve had here for a hundred years, as we’re only a couple of years old. Gamble: Now, when there are so many goals and objectives, and so much you want to get done, can it be difficult to prioritize? Miri: It can be. But there are a few things. One, I lean on our leadership team here a lot to help me prioritize and say, ‘I heard A, B, C, and D. I think B and C are important.’ The team here has a trust where we openly discuss these things and weigh the pros and cons, and as a result, we’re able to help prioritize. That’s locally. 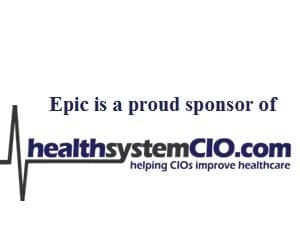 On an extension level is the power of having a network with CHIME and having a network with HIMSS. I lean on my network of other academic CIOs all the time to say, ‘I’m hearing this. What are you hearing at your shop? What’s going on there? What challenges do you have?’ It’s amazing how much symmetry there is between facilities. And when you look at that in aggregate and start seeing the common themes, you can help people who are requesting things to prioritize more effectively. For example, ‘I know you want A, B, and C, but this is what folks across the country are doing. Is this really what you want or should we rethink things?’ That’s the best way to bring it back down to center. Governance has become a major pillar for me this year. I’ve been implementing various governance structures from data governance and privacy/security, all the way through cross-institutional governance, and making sure there’s a cadence, understanding, and awareness so that folks don’t feel isolated and folks will included as part of the process upfront as we grow and combine. Gamble: Right. Governance really plays a huge role, and will continue to do so as organizations move forward. Miri: It does. It’s also about having an open door and truly meaning it. I implore everyone, from one year-one students all the way through our most tenured faculty and physicians, to communicate. What’s going on in your world? What are the ‘boots on the ground’ from an IT standpoint? What are you seeing? What are you hearing? What’s the business impact of you not having this tool, widget, order set, or whatever it might be? I’ve been doing a lot of listening and seeking first to understand, and that has enabled me to synthesize some of the business challenges that perhaps were being lost in the wash.
You become this semantic layer as a CIO to tether the front line all the way up to the senior executive suite and ask, ‘Did you know this was going on?’ Over the past six months, it’s amazing how many of those ‘did you know’ conversations I’ve had with various senior executives where they’re eyes opened up as if to say, ‘No, I had no idea that was going on,’ and now we’re moving toward those goals. The other dynamic is, you have to get out of your office and talk to people. You cannot sit there with the door shut. You have to round the clinics. You have to talk to students. You have to talk to researchers. You have to go into the wet lab. You have to wear a bunny suit into the OR. You have to do those things to truly understand, and listen, and be able to deliver results.